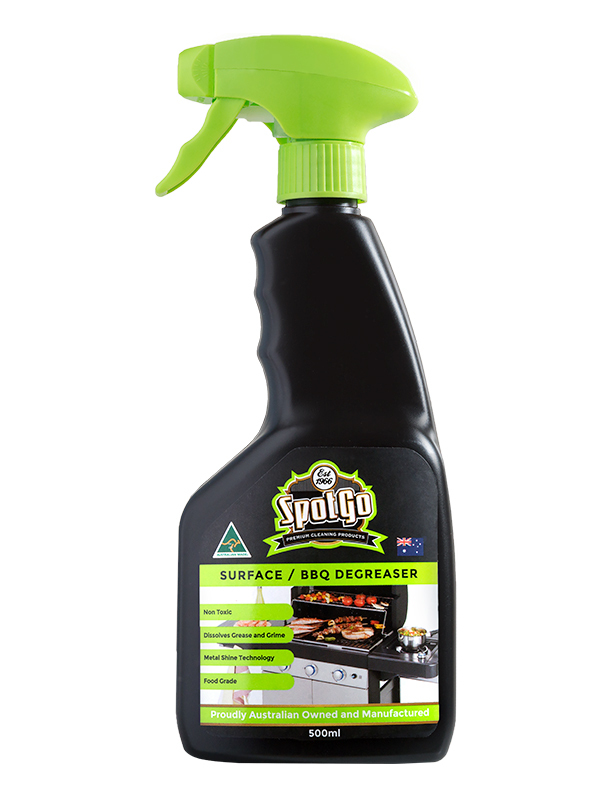 SpotGo’s Surface / BBQ Degreaser breaks down oil and grease residue and is a great bbq cleaner for everyday use. Whether you’re cleaning a greasy bbq, a kitchen cooktop or deep-cleaning a rangehood, this high quality domestic grade surface degreaser is your go-to spray and bbq cleaner. Ideal for use on kitchen benchtops, rangehoods, BBQ’s or anywhere you find a build up of household grease or oil.